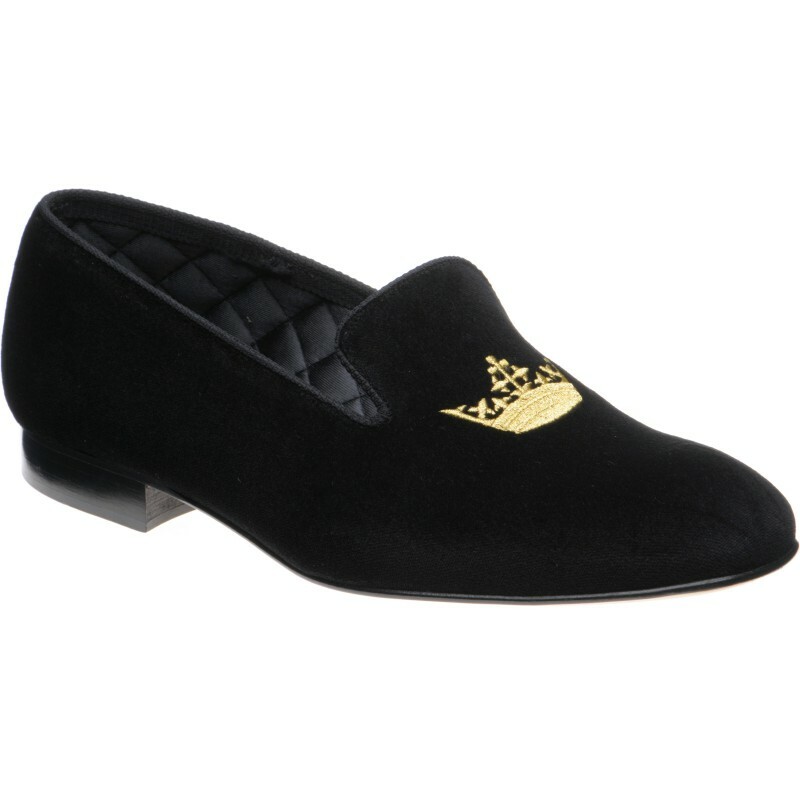 Church Sovereign slipper, made by Church in the Northampton factory using velvet uppers. 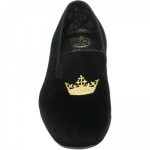 There is a gold machine stitched emblem of a crown on the front of the slipper. Please note that due to a change in Church production, some of the slippers have a quilted lining and some do not. We cannot guarantee which version you will receive. 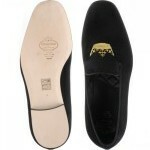 Good morning Adrian, at 8.30am this morning [Tuesday] I received my slippers via a UPS agent. Now let’s put it into perspective. 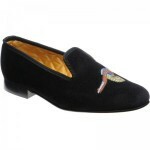 These slippers left your place May 3 were shipped UPS from England to Germany, then went to Philadelphia, then Louisville Kentucky, Honolulu arriving Sydney May 7 and I get them the following day. I have watched [got a lot of time on my hands] the tracking movements daily as a matter of interest. I’m gob smacked. And guess what the slippers are fantastic.